The goal for this project was to secure a reliable water source and establish water sources in several different fields. 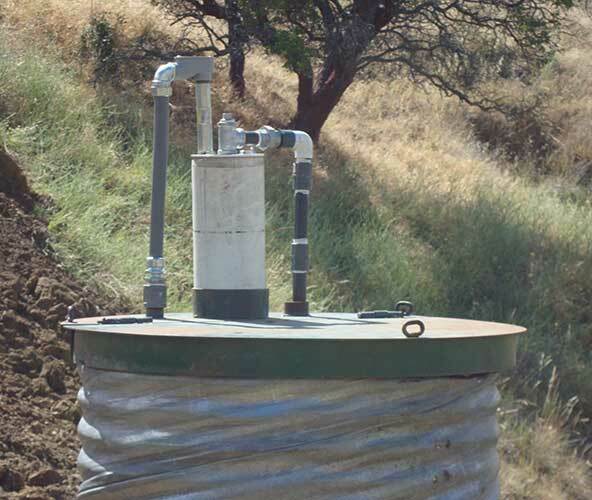 Freitas Rangeland Improvements designed & installed the solar water pump system and the client installed the pipeline, water storage tanks and livestock watering troughs. An existing well was rehabilitated so it could serve as the water source. With this location in mind the clients and I surveyed the surrounding area and agreed on a water storage tank location that would be able to gravity feed water to a series of water troughs. An HDPE storage tank was installed approximately a half mile from the water source. HPDE pipe was used as the conduit on both the supply and distribution sides. 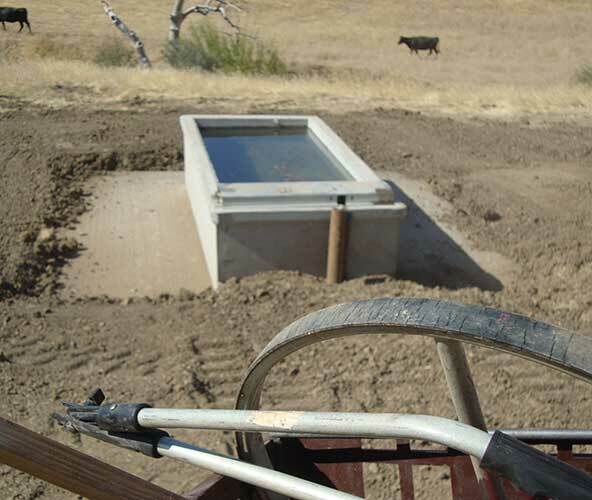 Several 500gal capacity concrete troughs were installed, on concrete pads, in various pastures. Wildlife escape ramps were installed within each of the troughs. This project allows the client to rotate cattle into four large pastures, each having their own reliable water source. "TN Cattle Co, Inc. began working with Jed back in 2005. Several projects were successfully completed and we have more than a handful planned for the future. The ability to get water up high and back where it's never been historically has proved very beneficial to the overall efficiency of our operation." -JEFF NIELSEN-TN Cattle Co, Inc.
"Jed was instrumental in providing us with technical assistance needed to make informed decisions about what could actually be done at our various ranches. His experience and professionalism were invaluable."